'Inky Elf' (Anthony and Dorothy Willott, R. 1996). Seedling #91-158. MDB, 5" (13 cm). Late midseason bloom. 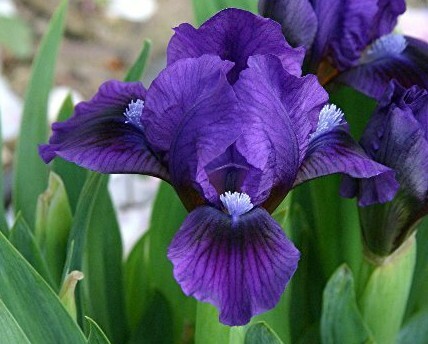 Deep violet, falls with deeper rayed spot; beards light blue violet. 'Dark Vader' X 'What Not'. Willott 1996.